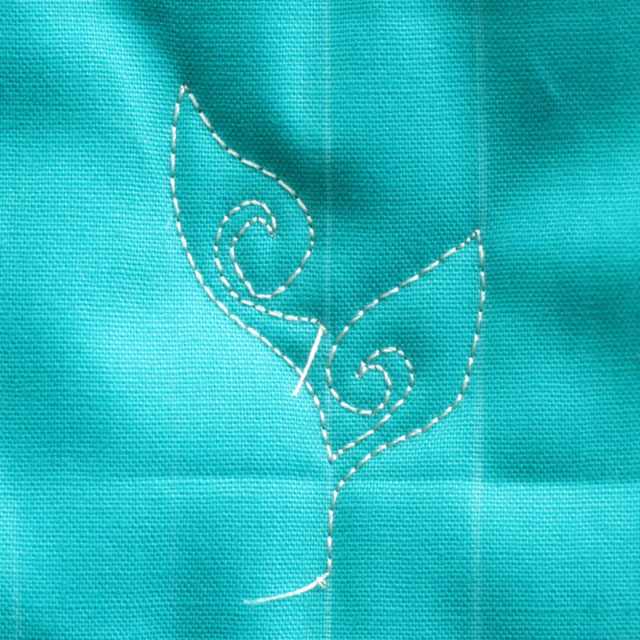 Today’s design is The Open Leaf with Spiral. It is a variation of the Open Leaf–a little “dressier”. 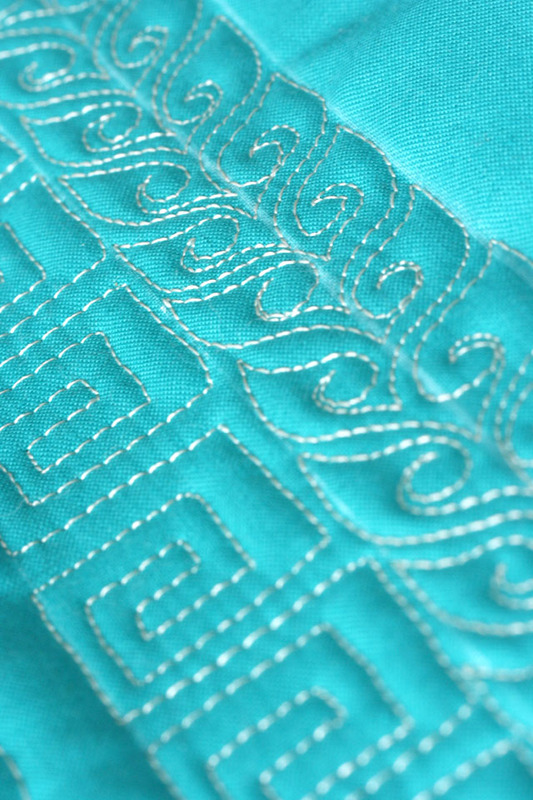 It looks great when combined with The Greek Key or other linear patterns. For this design, begin by drawing three lines or “rails”. In the image below, the lines are 3/4 inch apart. 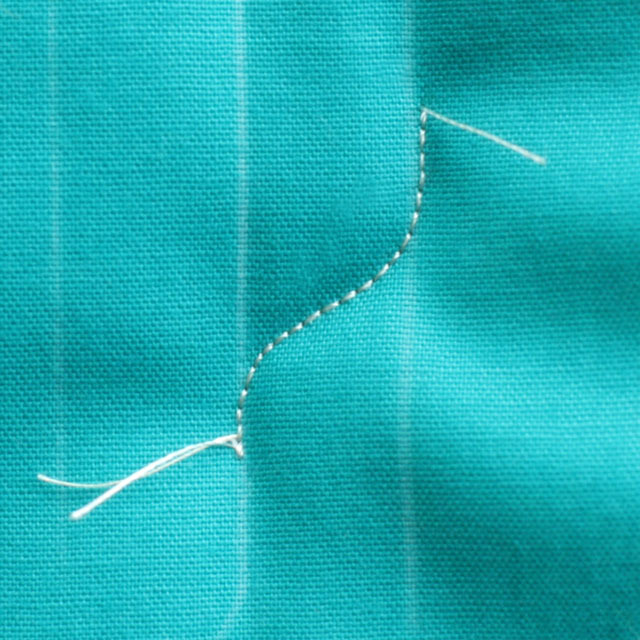 Begin stitching on the middle rail a few stitches, then curve to the right rail. 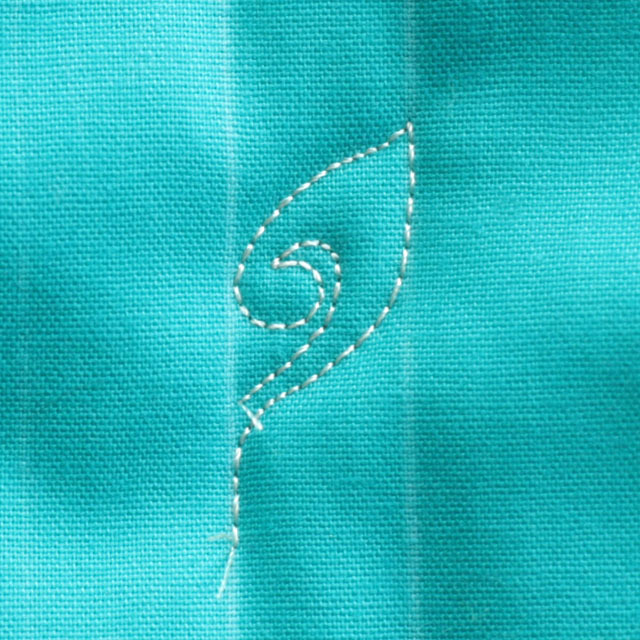 Stitch along the right rail for several stitches and stop (with your needle down). You make it look so easy. Thanks for teaching me. It is a beautiful sunny day in north Florida…..flowers are blooming here. Thanks for breaking it down for us. I love the flirty look! Wow, I like this a lot! Now I’m reviewing the quilts in my lineup to see if I can use this on one of them. Thanks for the step-by-step! Please send a photo if you do! So thrilled to hear we’ve connected with sunny Australia. Glad to hear you are trying the new motif…send a photo if you can! This was my lucky day…I found YOU! 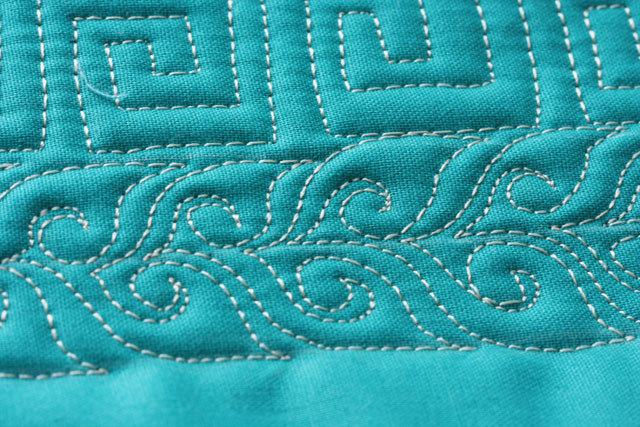 I am FMQ a scrappy table runner and had already used a few of my stash of designs. But I was hungry for some new ones and found your designs and tutorials and so today I finished quilting my table runner. Loved the open leaf spiral, waves, fleur de lis (after all I live in Louisiana) and tulips/figure 8’s. Now I will follow your blog. Thanks for your creativity and your excellent tute’s! do you have tips about type of threads tension needle up or down ? i have been hand quilting for 35 years started machine piecing 10 years ago and still needle turn my applique. recently started following machine quilting and would love some tips. your work is exceptionally beautiful! This is a beautiful design. I’m going to try it. I live in Ontario Canada and it is bitter cold out and lots of snow so I’m starting to get to my quilting. Thank you very much for these designs. me too elizabeth! this one is going to figure prominently in a quilt for my aunt. stay warm! Please send photos of your quilts. I’ve not used Nikki’s puzzle on a quilt yet. Can’t wait to see how it looks! 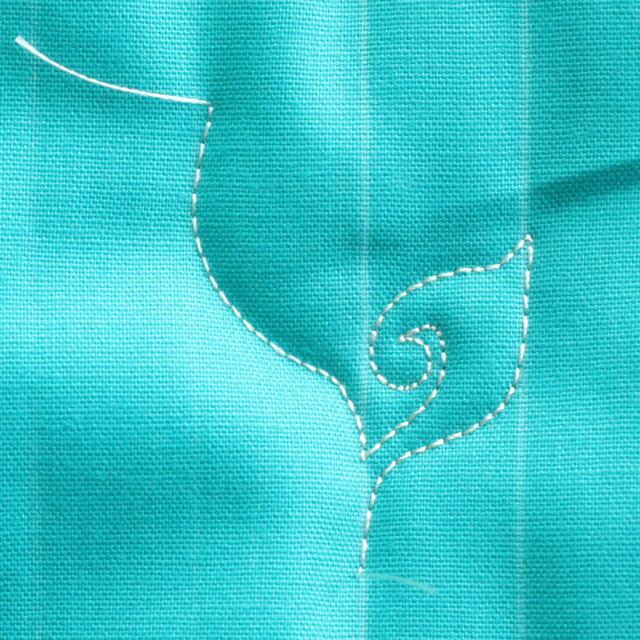 Is this a technique that requires a longarm machine or do you think it could be tackled on a domestic sewing machine? All of my sewing/free motion quilting is done on a domestic sewing machine. I do not have a long arm. 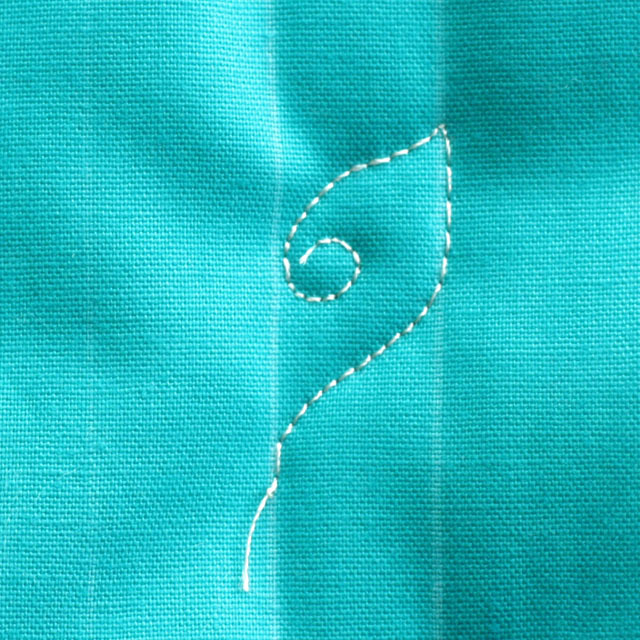 Did you ever post The Double Open Leaf with Spiral as mentioned above? I’m on the hunt for leaves, so I put the word “leaf” into your new SEARCH BOX and found several to study. There were some missing that I could see in my mind’s eye, but I couldn’t remember the names. So I just went to all the tutorials and started scrolling through. That’s where I found the particular one I was looking for … The Welsh Leaf. Then I also found The Open Leaf and The Open Leaf with Spiral (these do not come up in the “leaf” SEARCH either). At the end of the tutorial for the latter, I noticed your comment about doing The DOUBLE Open Leaf withSpiral but it does not come up in the SEARCH. I’ll bet it’s a fancy one. Anyway, I found enough ideas with all my scrolling to experiment on a little project I threw together to use up some old or odd pieces of fabric – good for beginner practice. I have some patterned (plaid) squares, some HST, and some solid squares. I’m going to summon my courage and try The Oak Leaf with Acorns on the solid squares as a stand-alone motif. Thanks to your broken-down, step-by-step instruction, I know I can make a good run at it … I will probably sketch some “cheater lines” to help, though. Glad you’re having fun with leaves! They are such a classic motif! 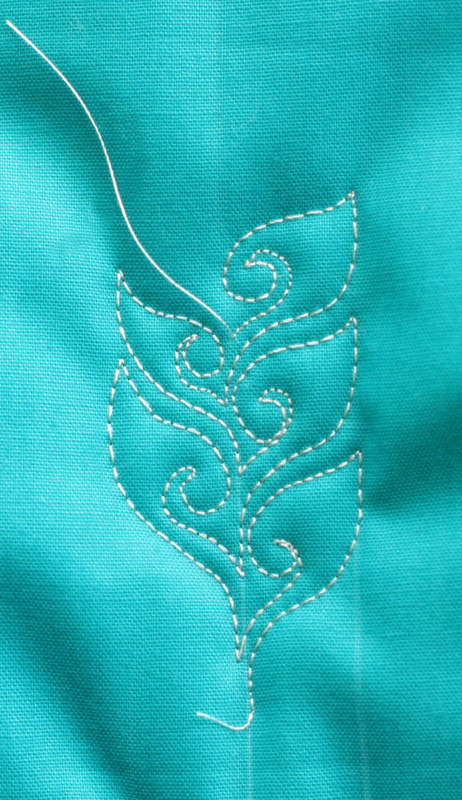 I never did a tutorial for “The Double”–I will do one in April…It is a fun and pretty motif! Thanks for the reminder!